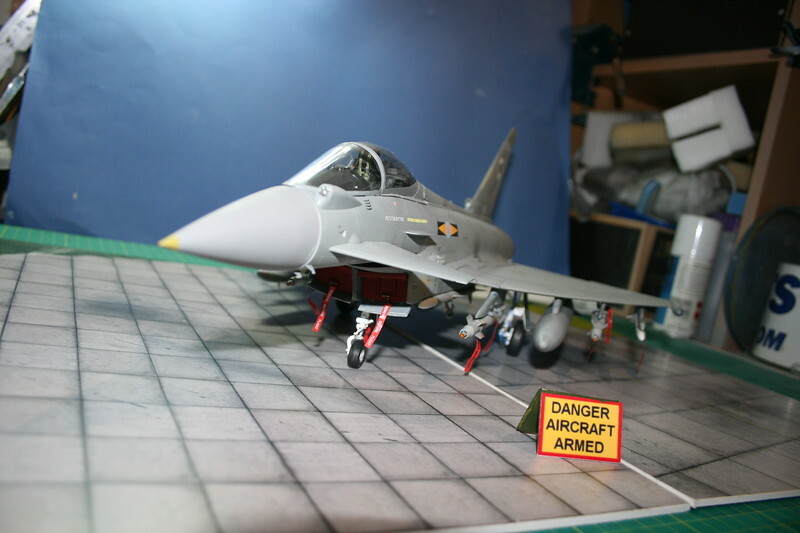 In less than a month, Mark M has managed to crank out this wonderful looking Eurofighter Typhoon from the Revell 1/32 kit. 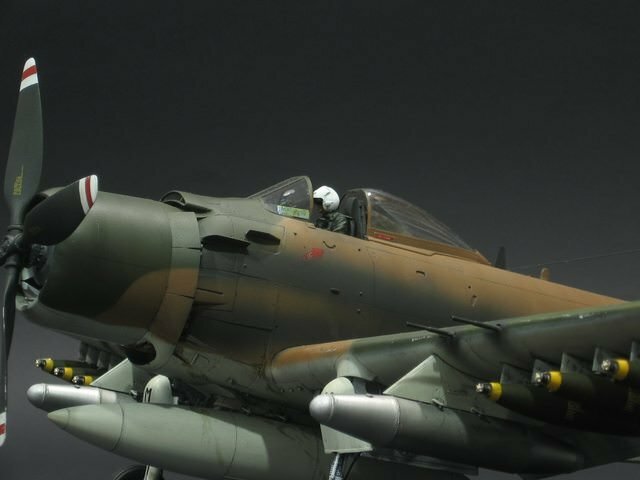 Top job mate. 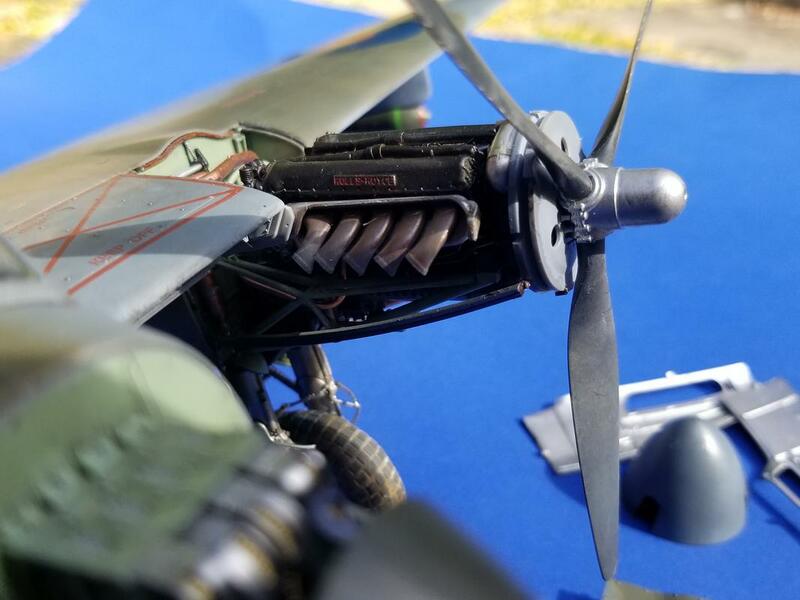 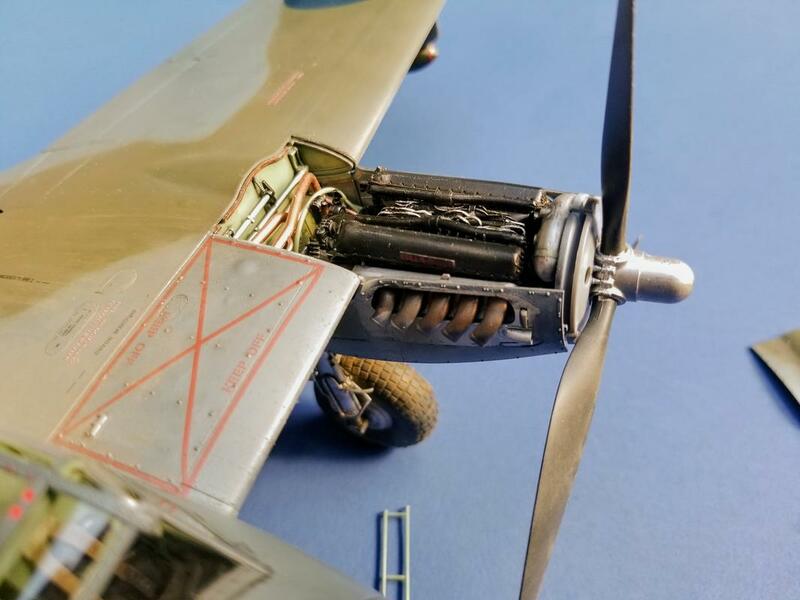 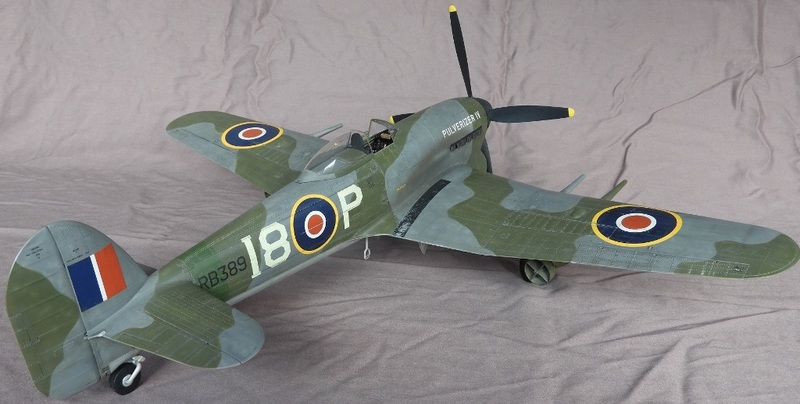 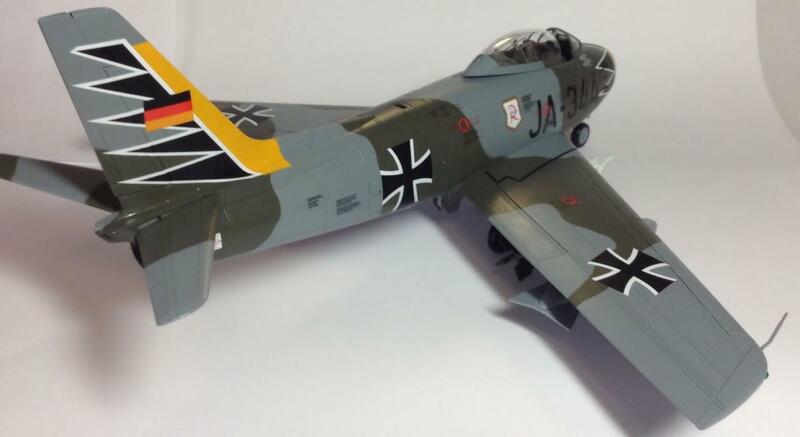 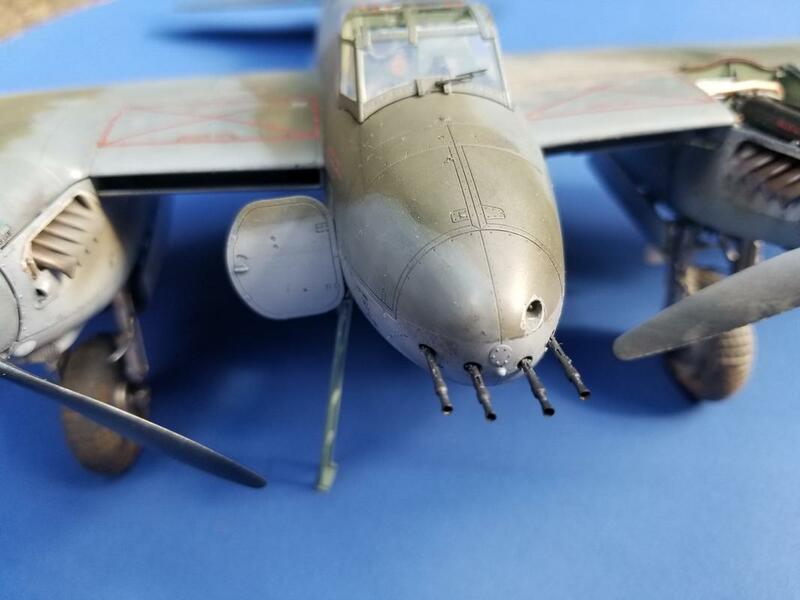 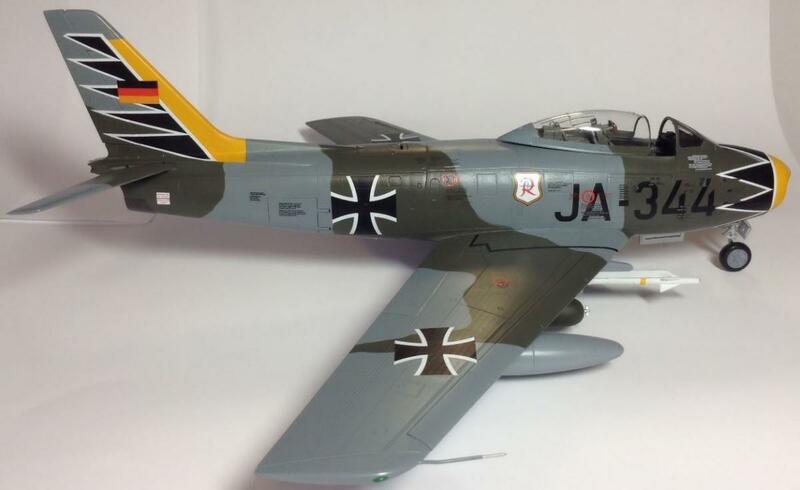 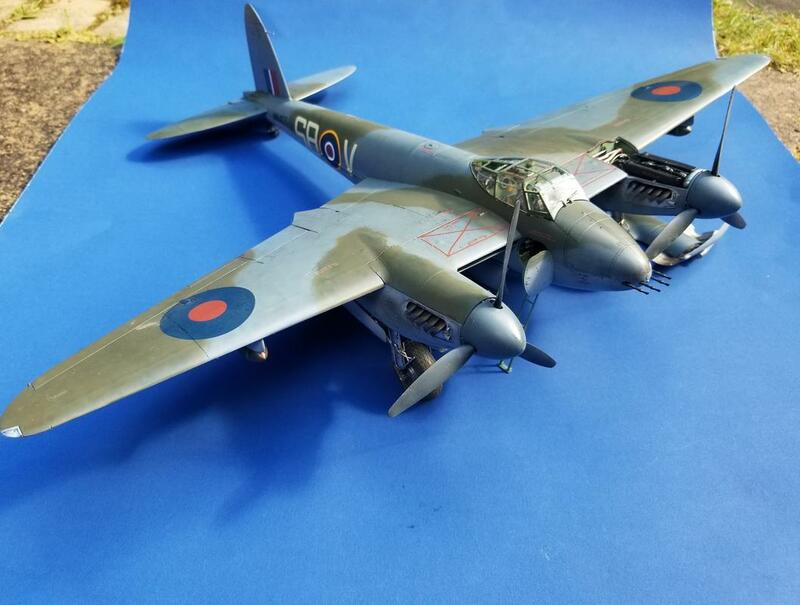 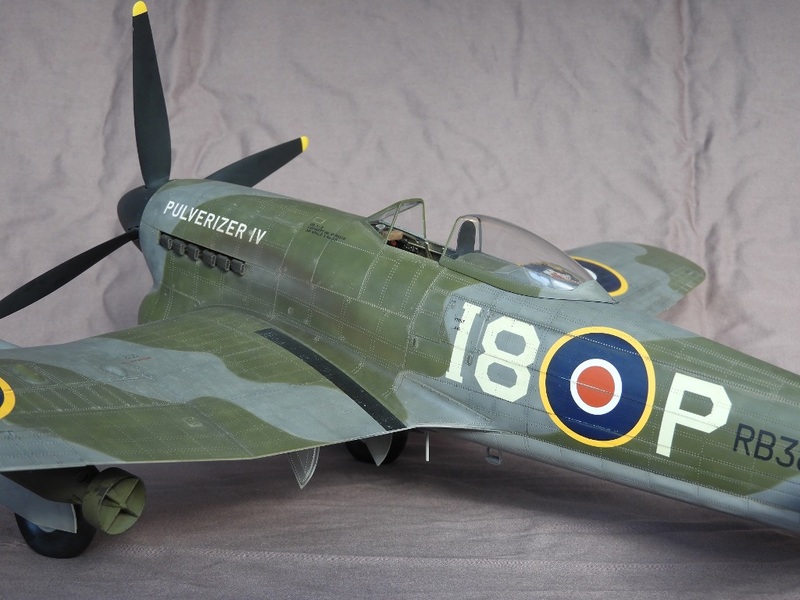 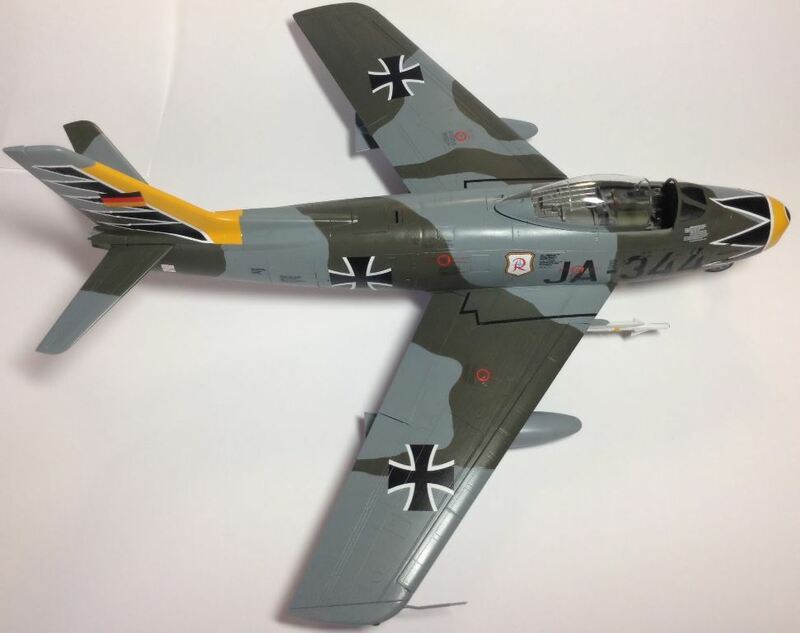 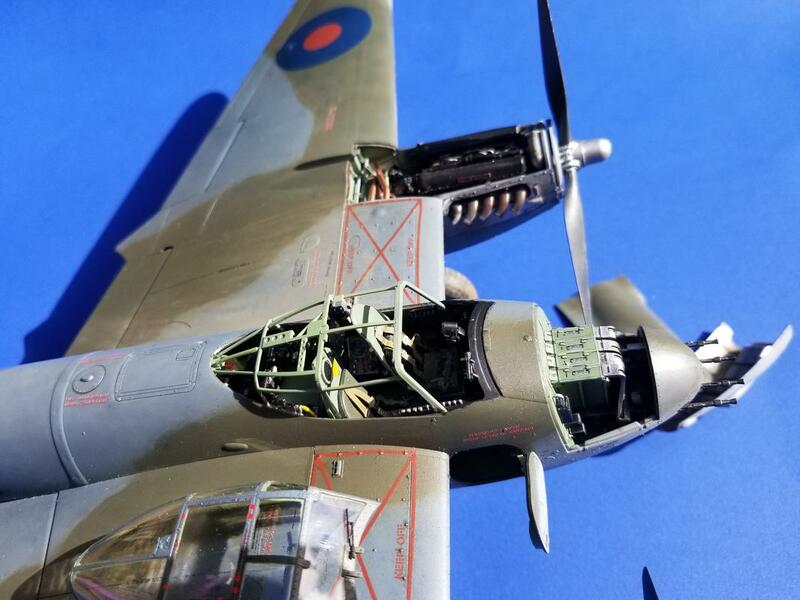 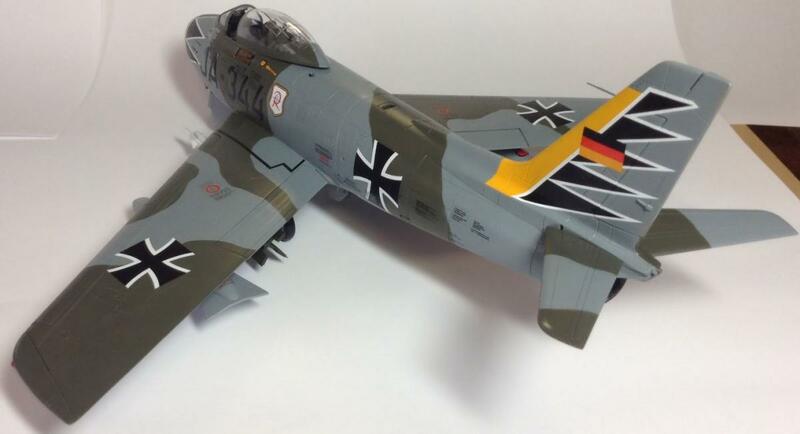 Next up is Bstarr3 with his excellent Tamiya 1/32 Mosquito. 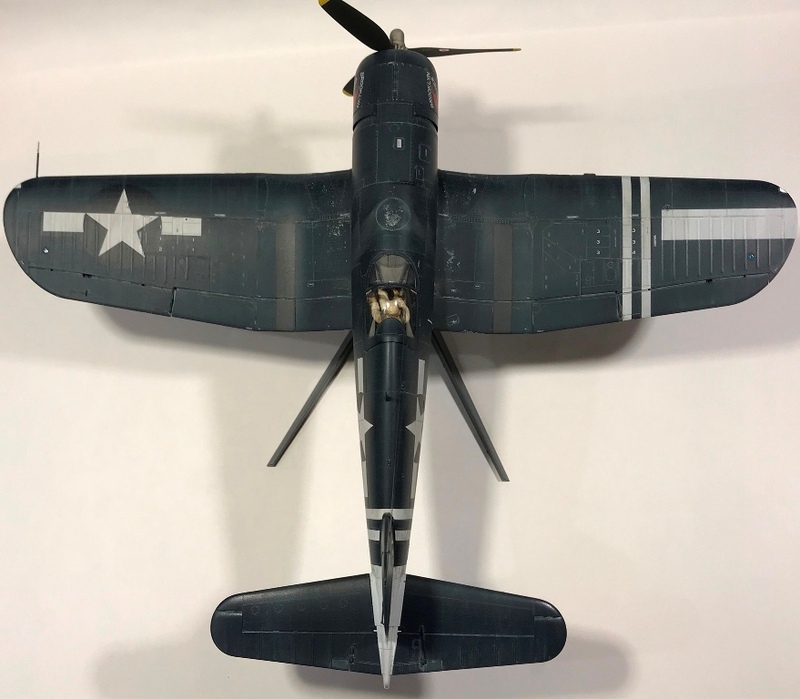 Tremendous job mate. 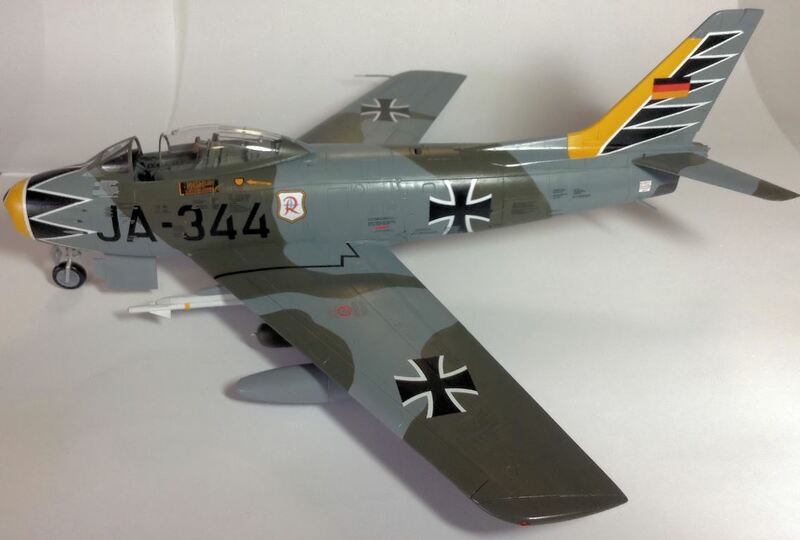 Next over the finish line is yours truly, with my Kinetic F-86F-40 Sabre. 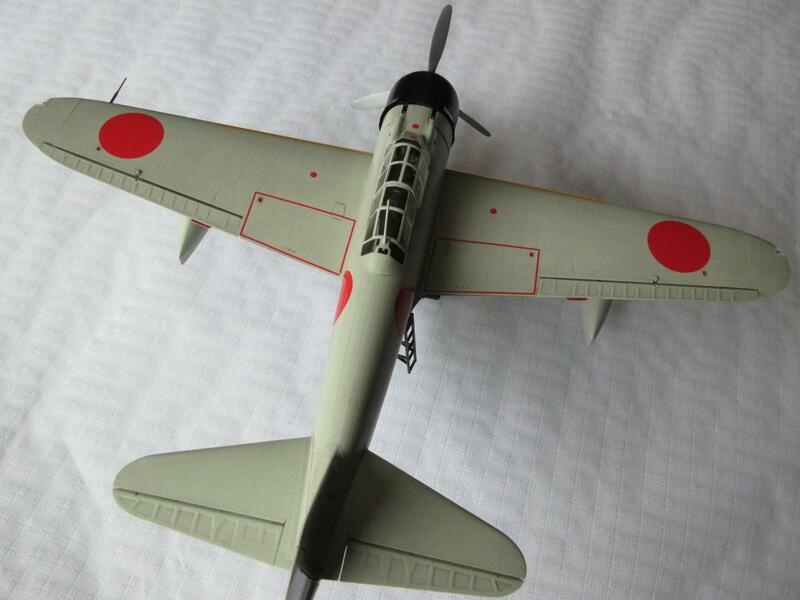 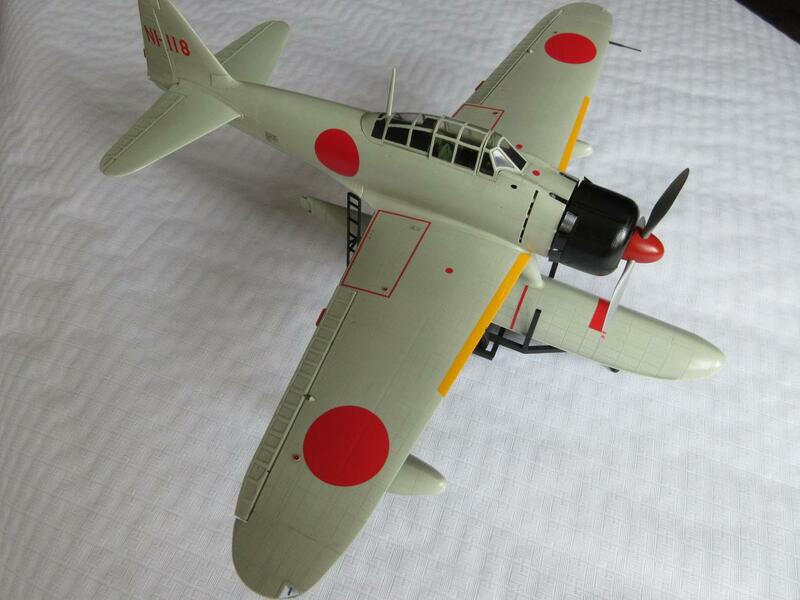 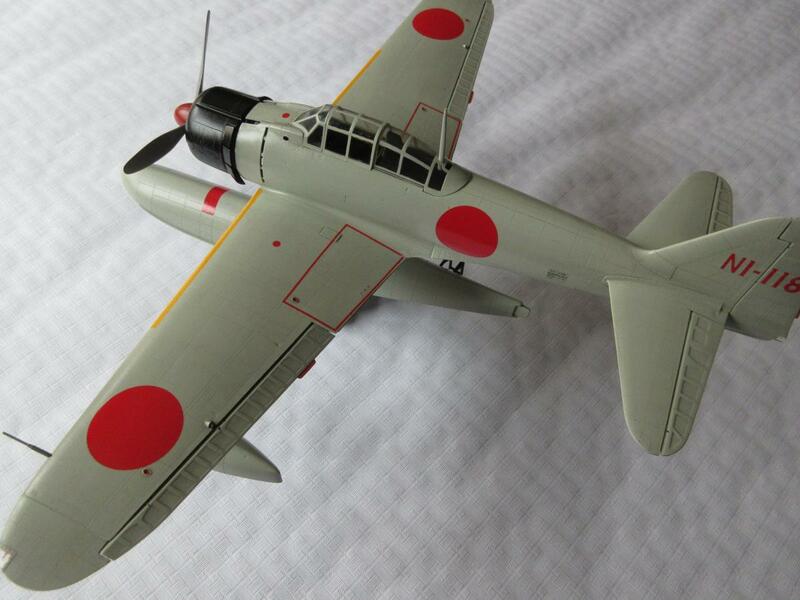 Erwin brings us a big one in the way of his 1/24 Nakajima A6M2-N Rufe float plane. 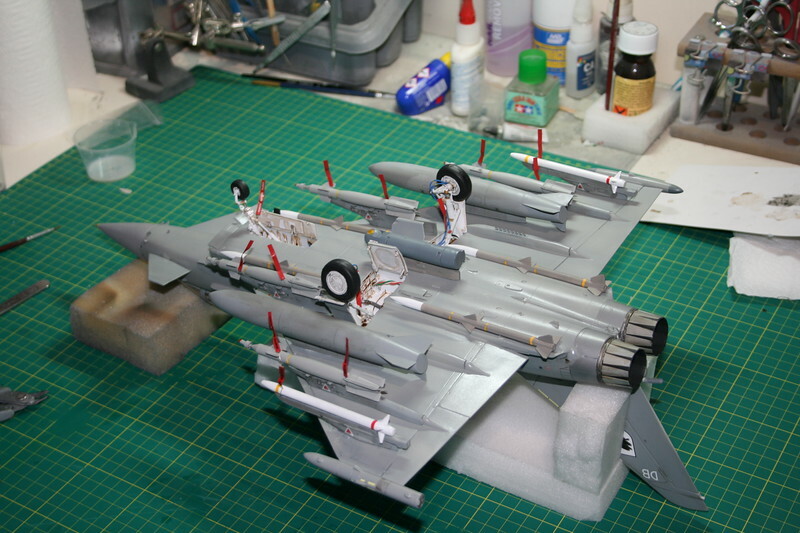 Very nice work indeed. 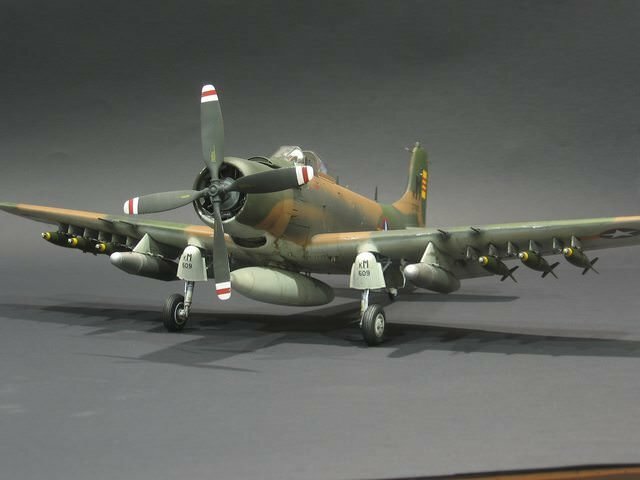 Thank you for collating the Iron Rain finished models. 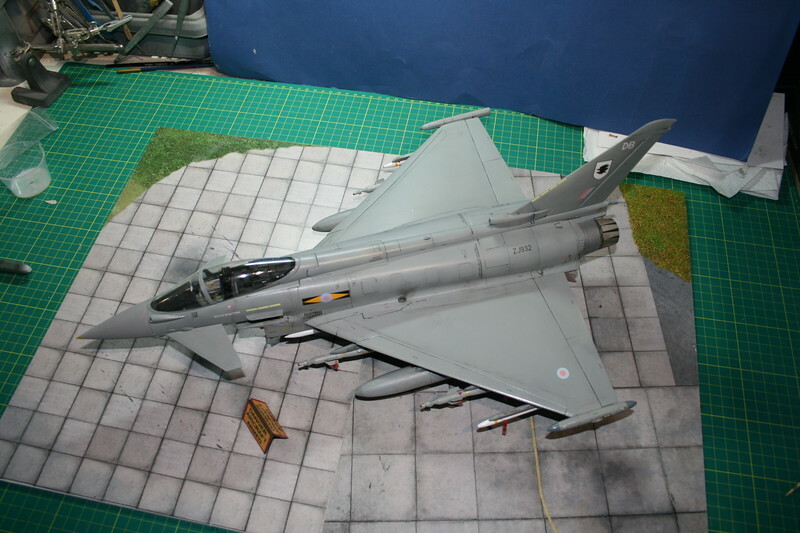 All of the contributors have built Fantastic looking models. 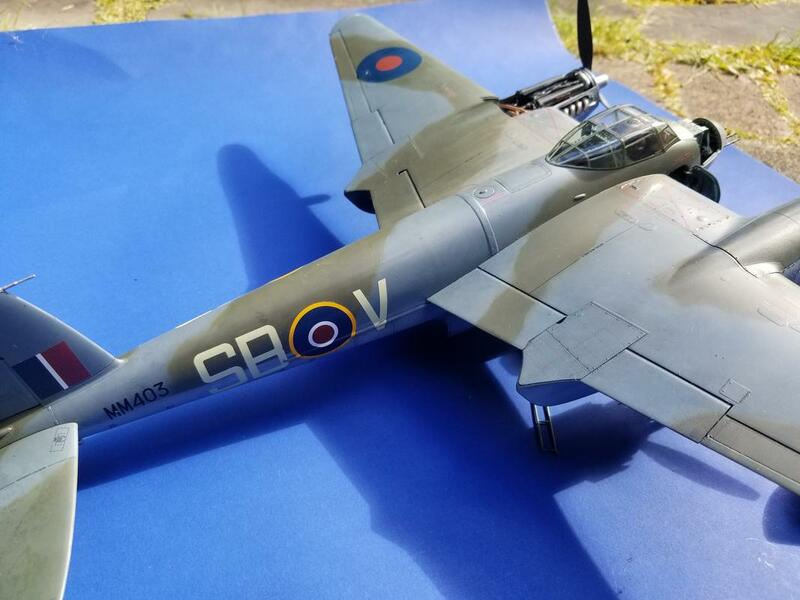 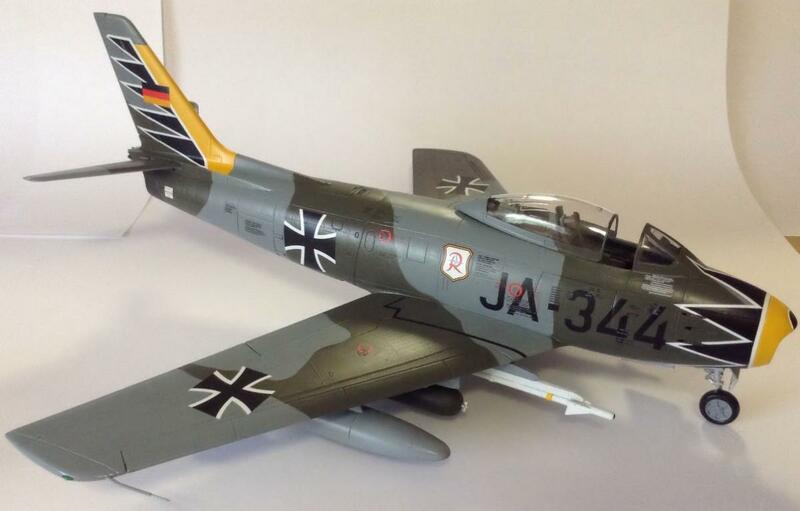 They are all IMPECCABLE to look at..
Grant_ T has a storm coming in, with his 1/24 Hawker Typhoon Mk 1B. 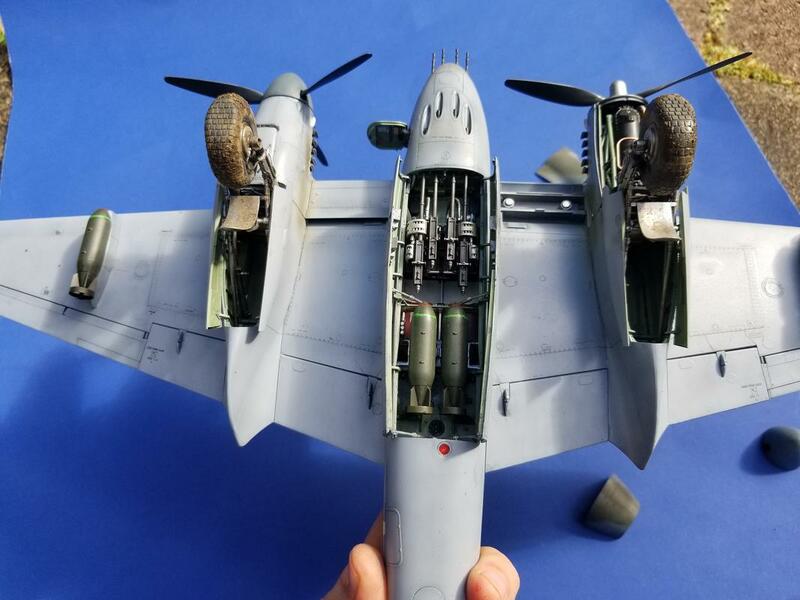 Looks mean, great job mate. 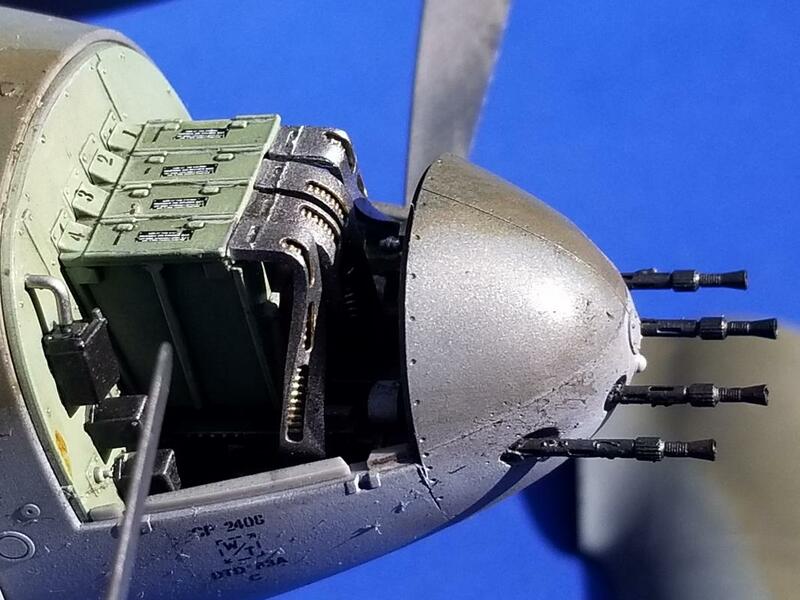 Boy, some really nice work there all! 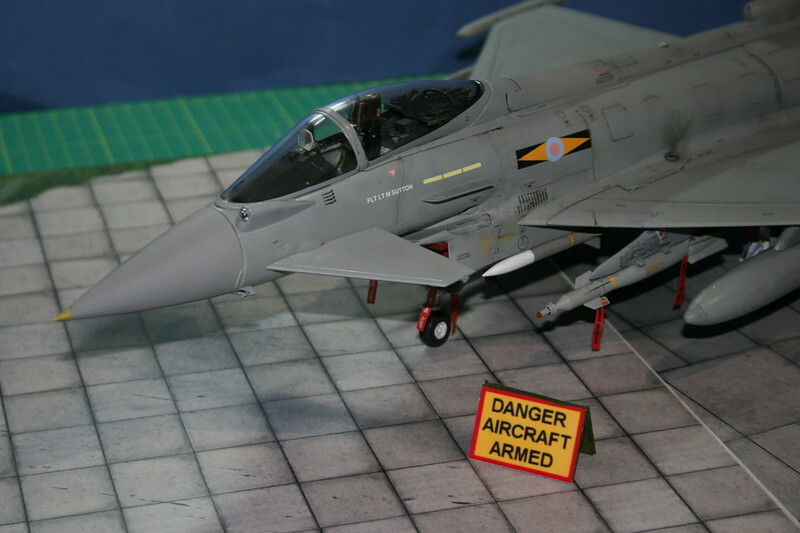 Difficult to pick a winner from them all. 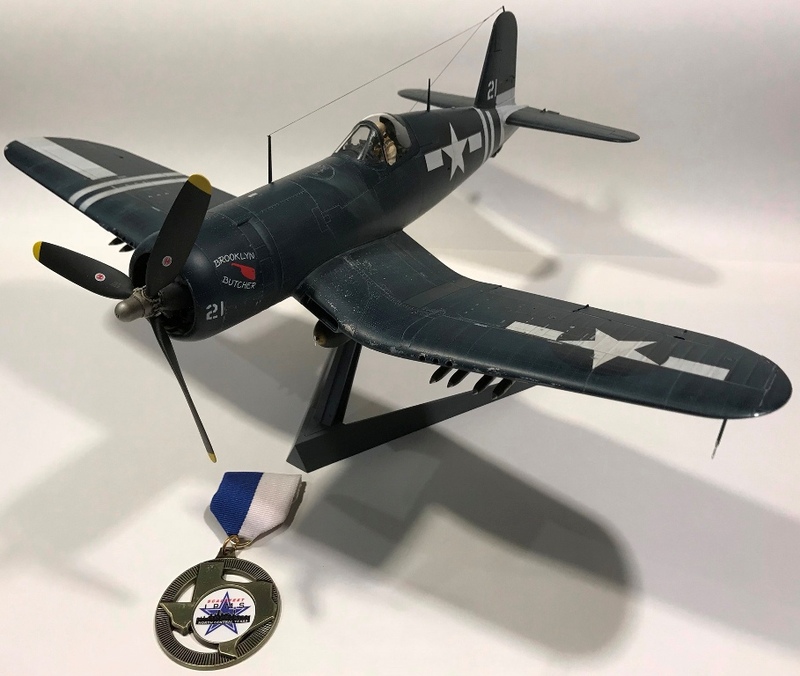 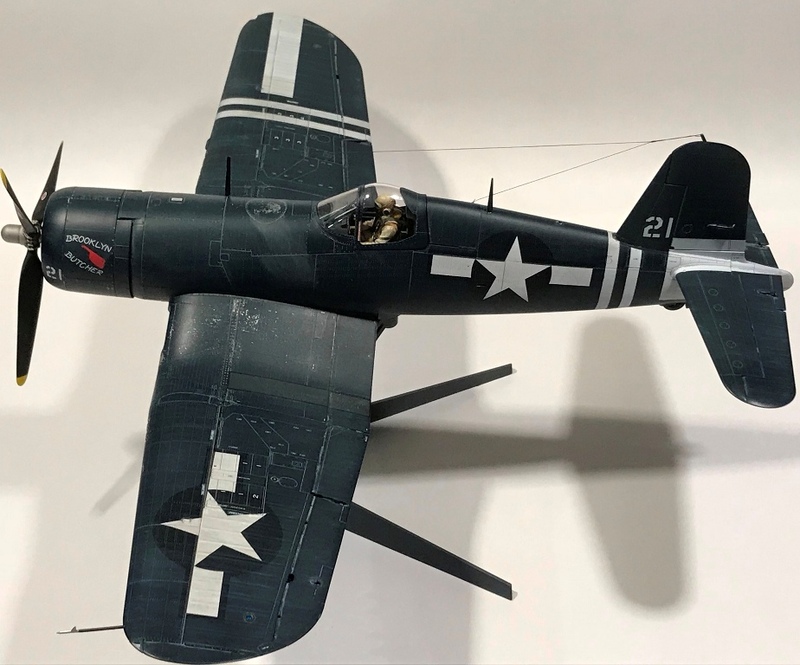 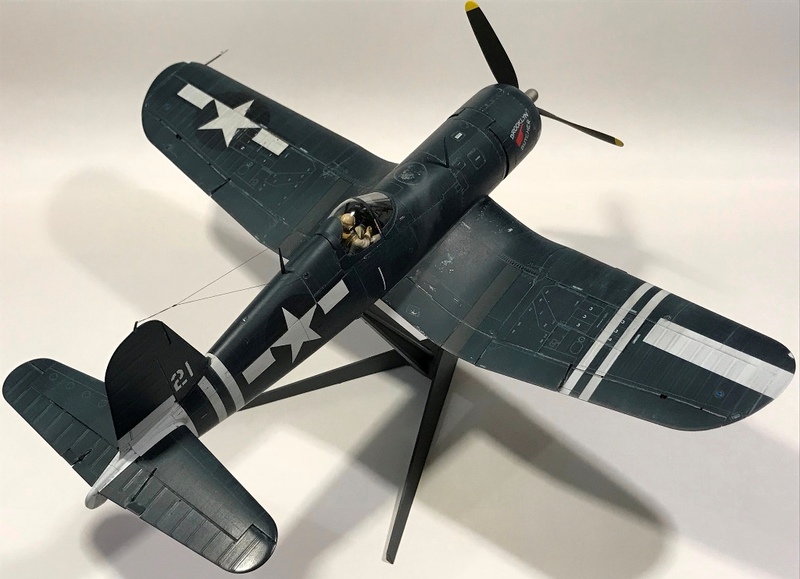 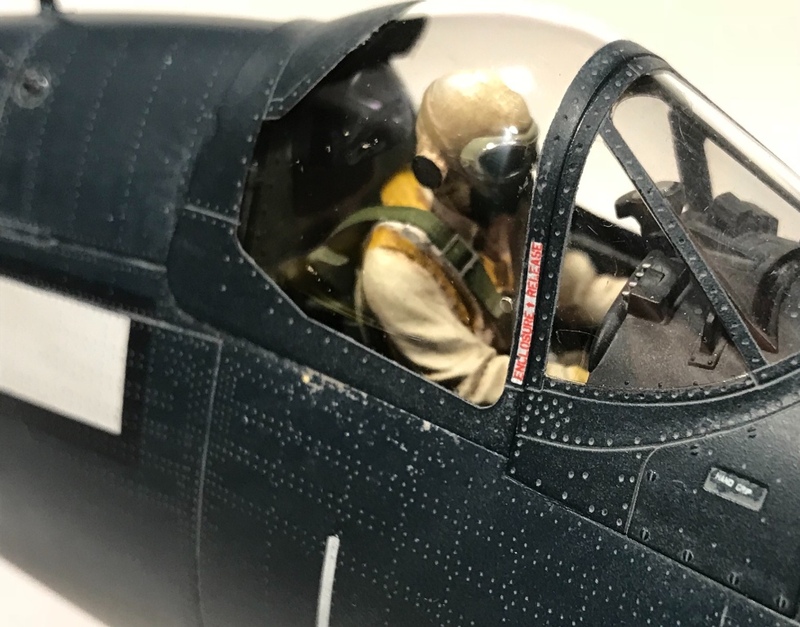 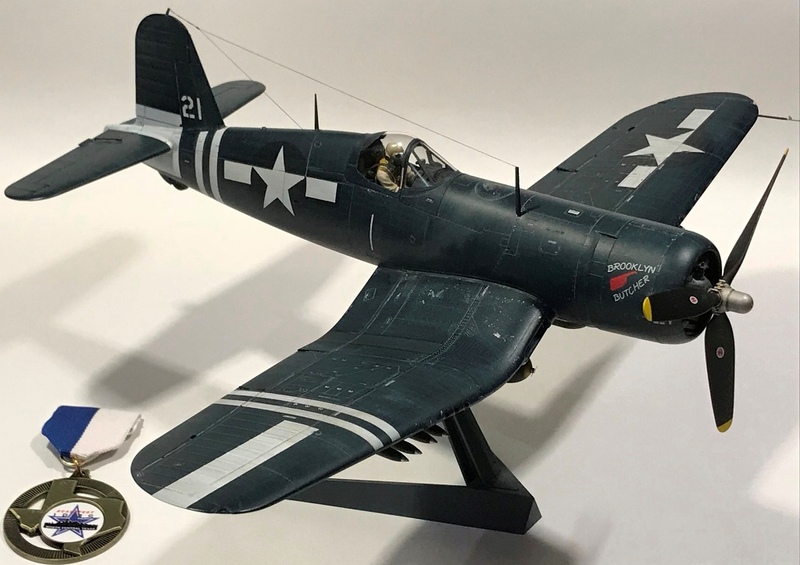 1to1scale is up next with his really nicely done Tamiya F4U-1D Corsair. 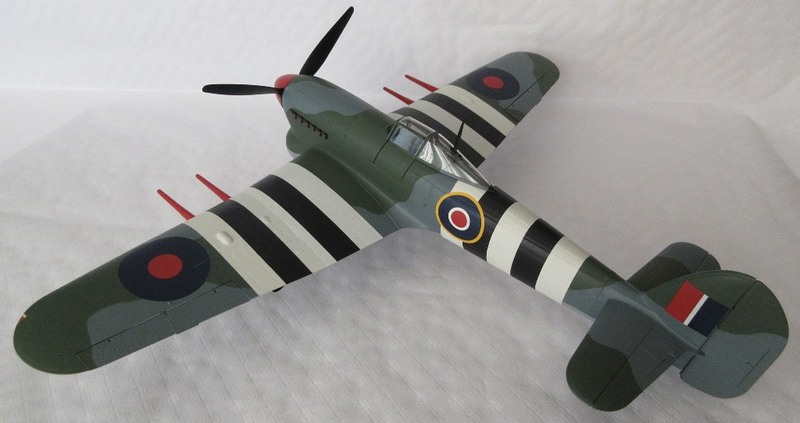 Tremendous work mate. 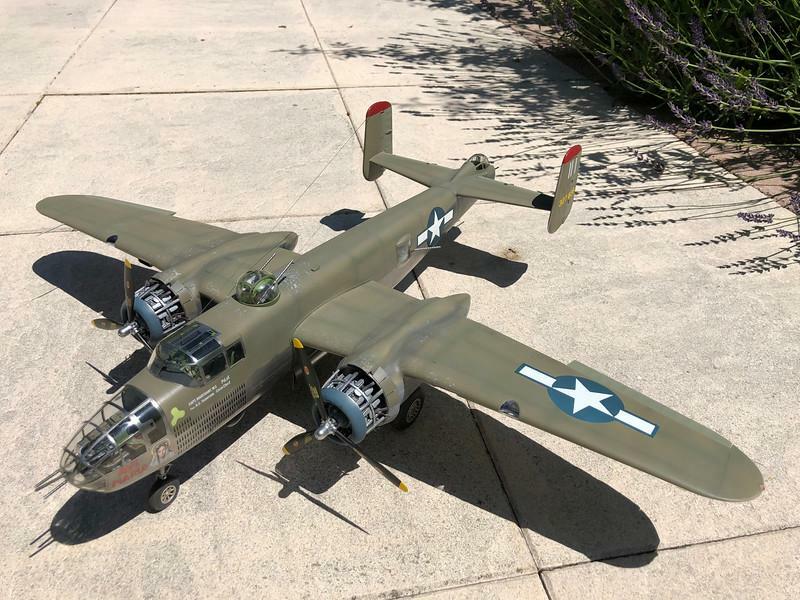 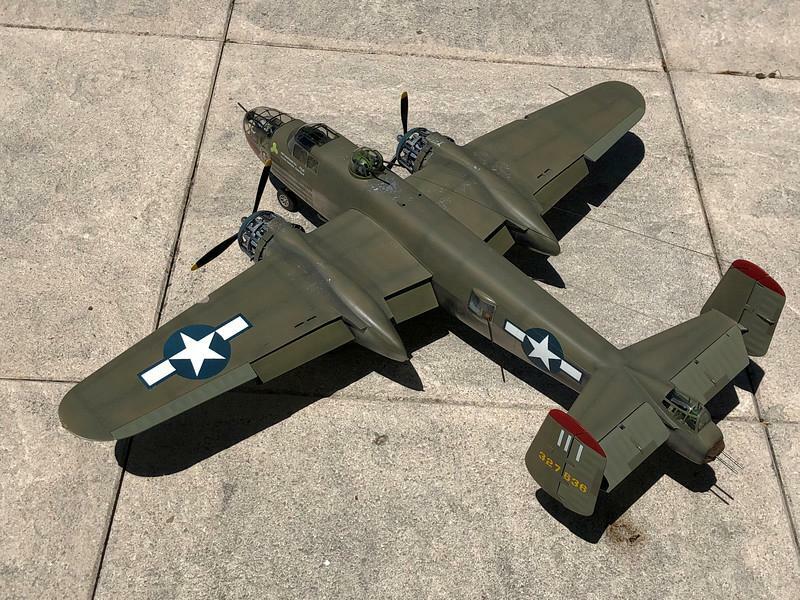 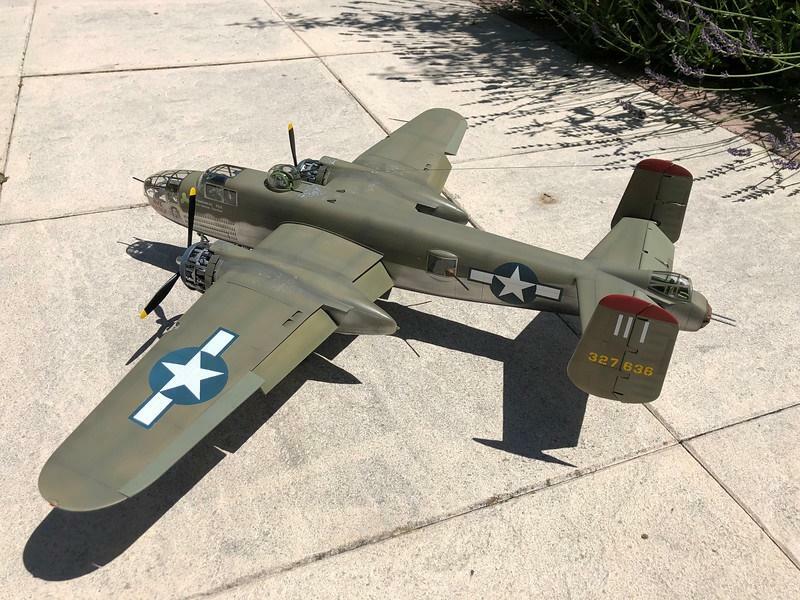 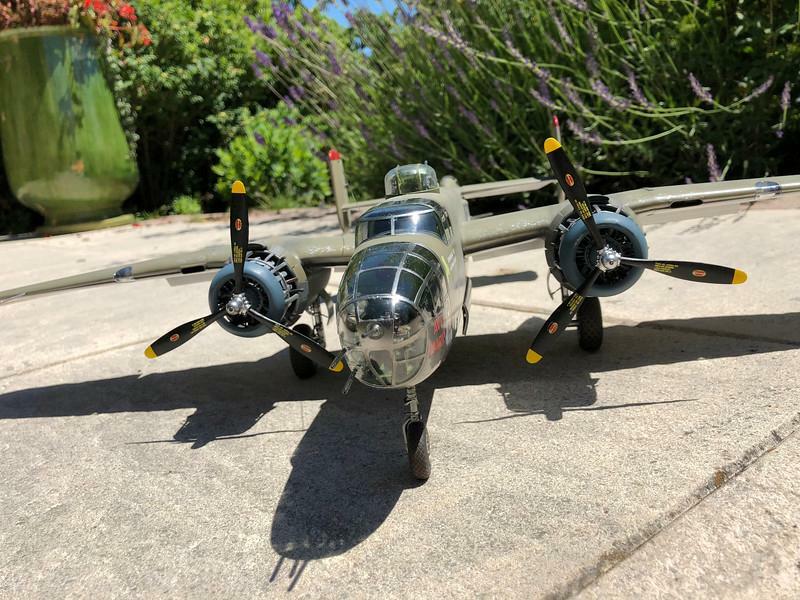 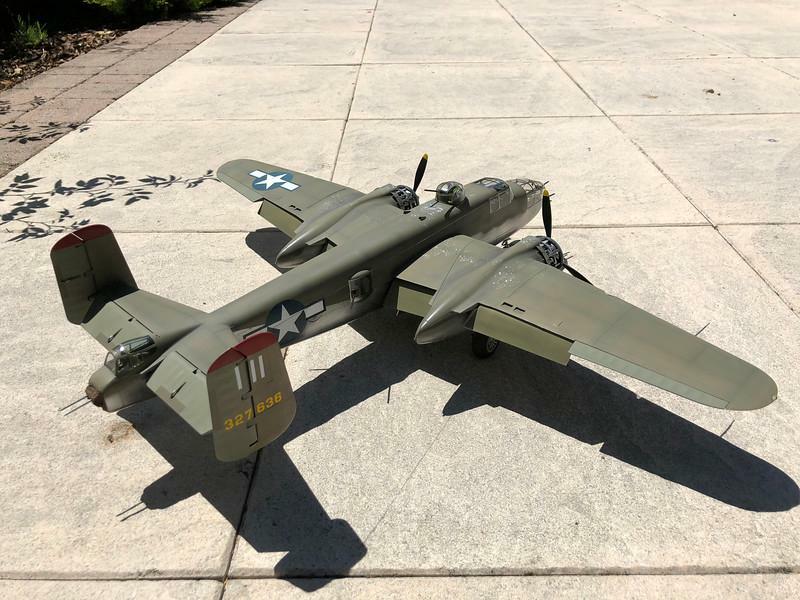 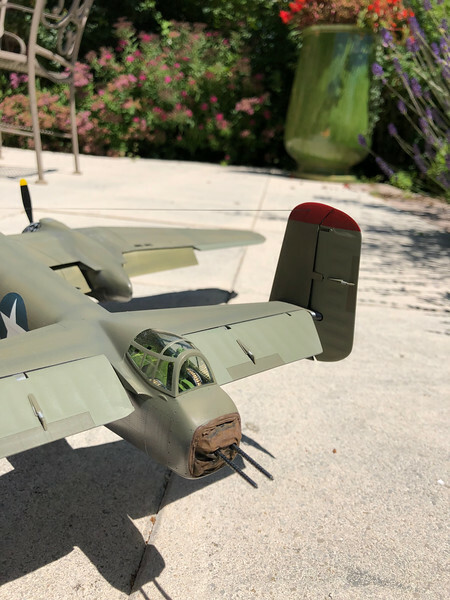 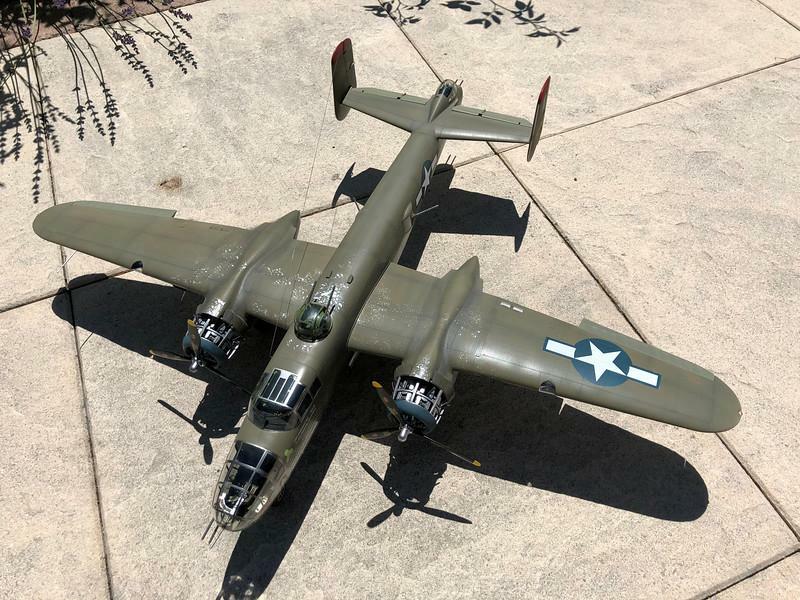 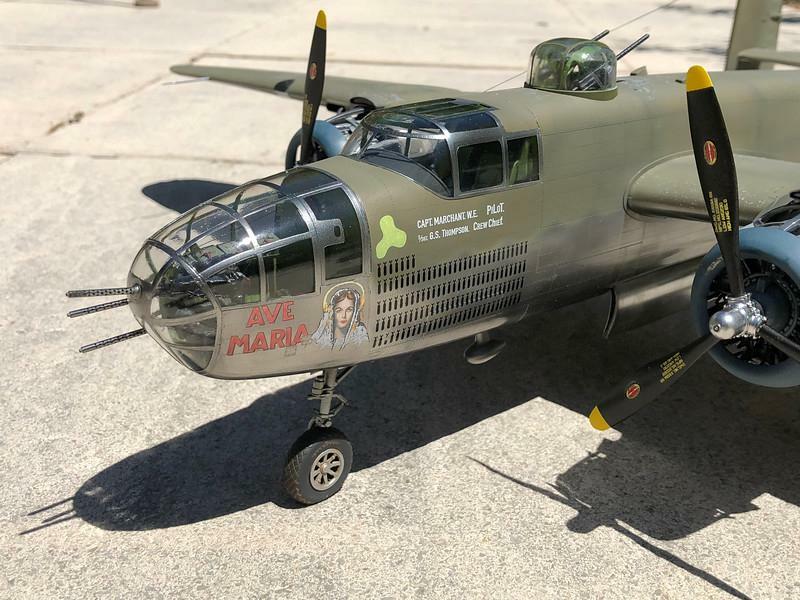 A second completion for the weekend, David (Dukie99) brings us his big bad B-25. 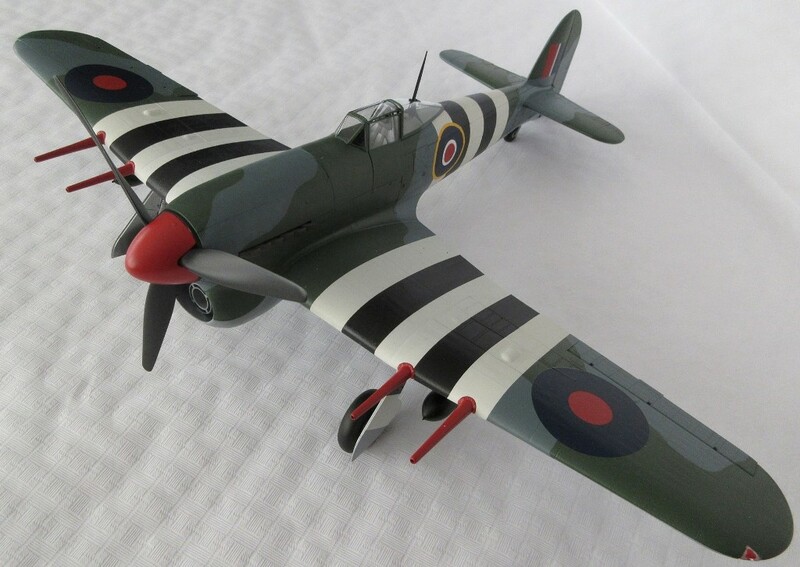 Super work again mate. 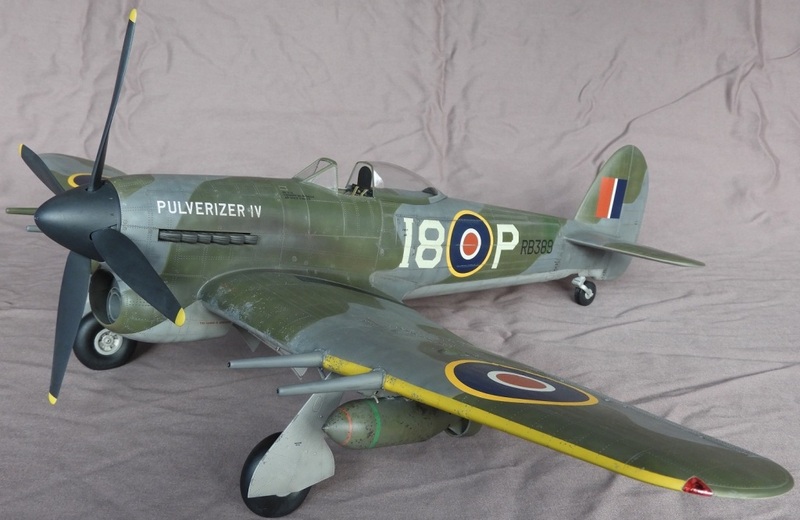 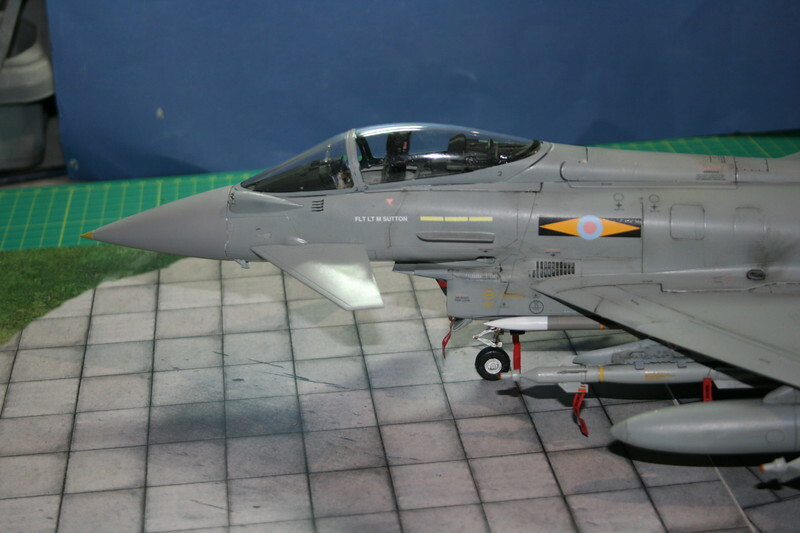 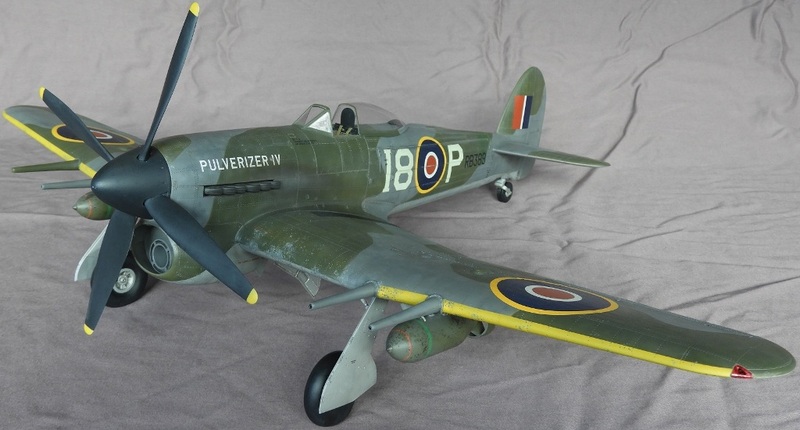 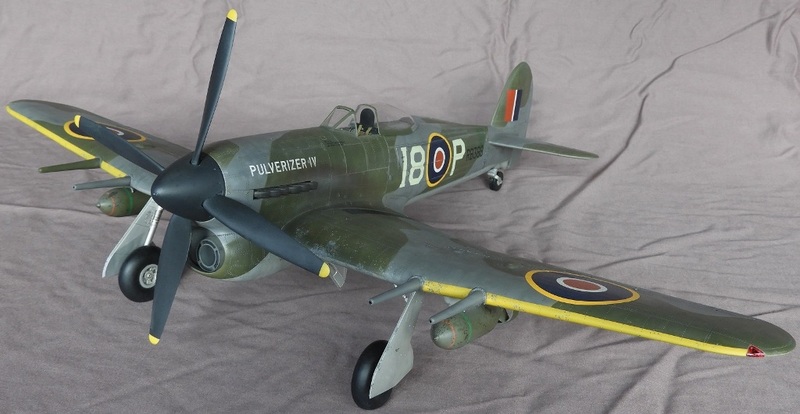 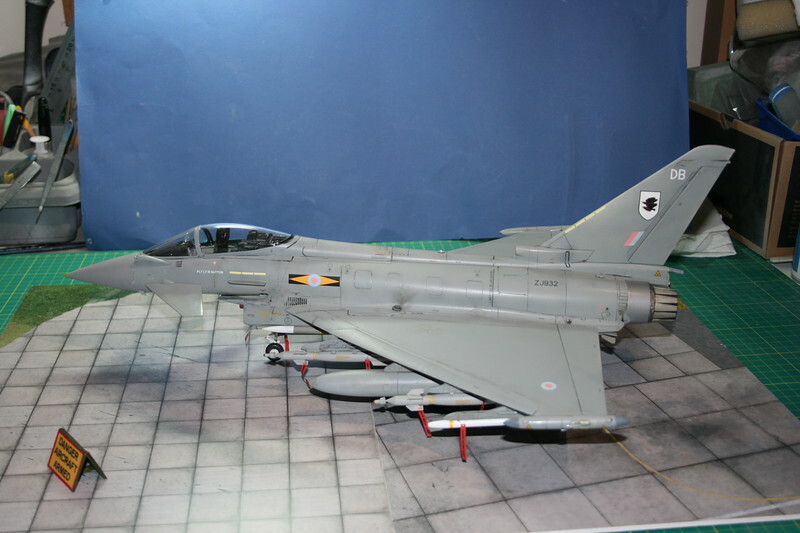 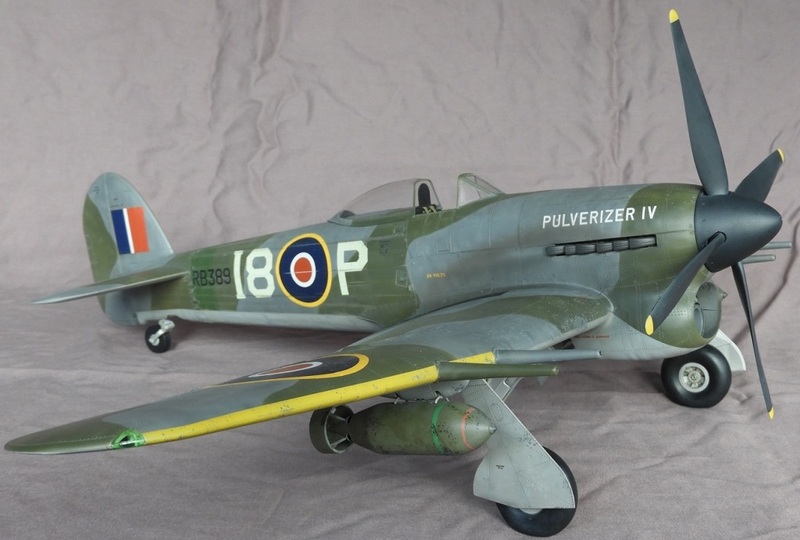 Erwin is back with a double for this GB, setting a record time in building his excellent 1/24 Typhoon. 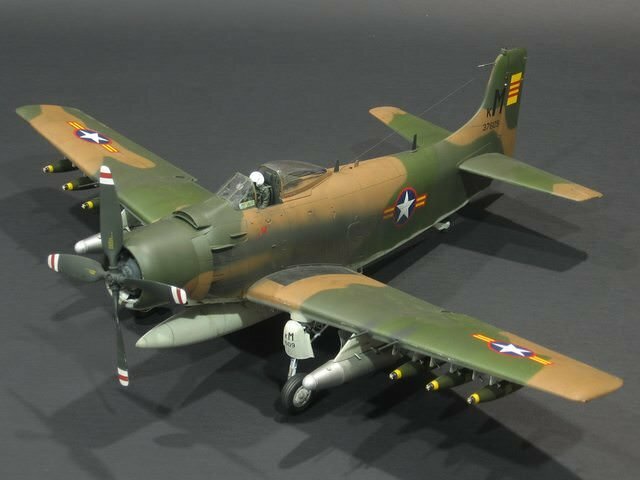 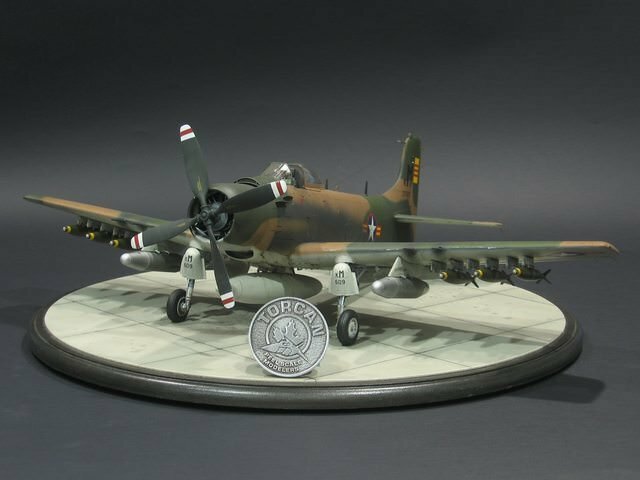 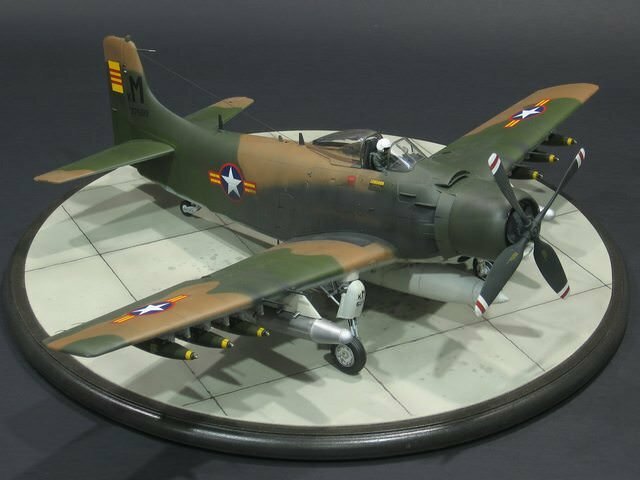 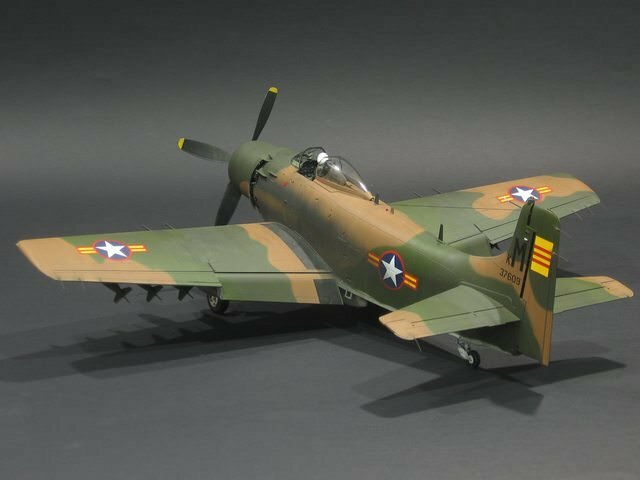 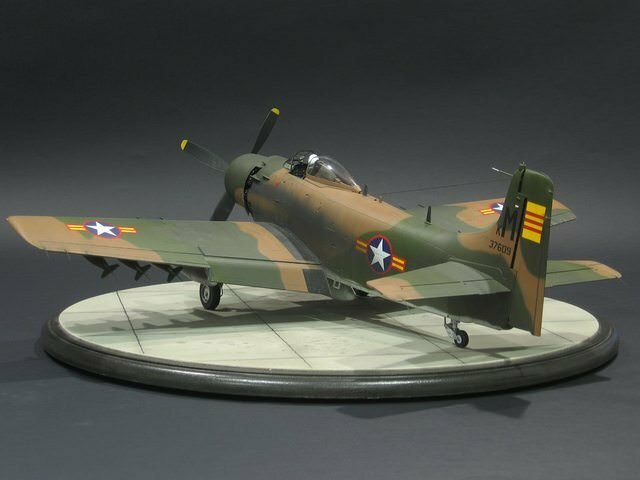 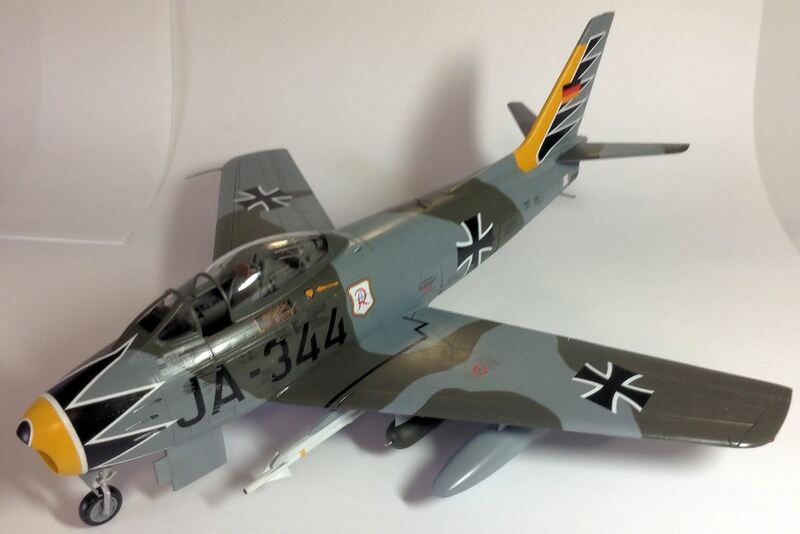 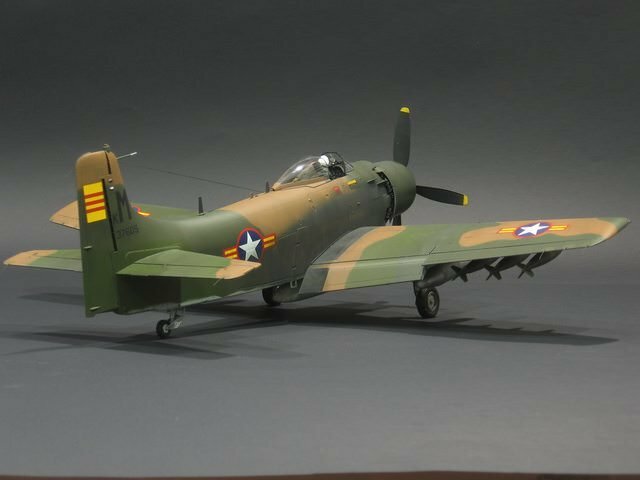 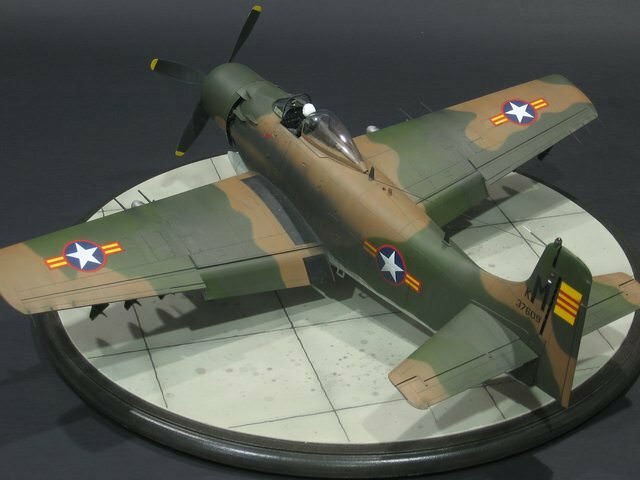 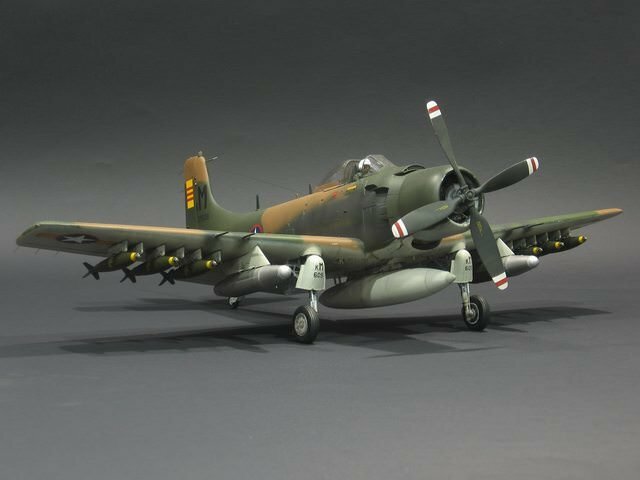 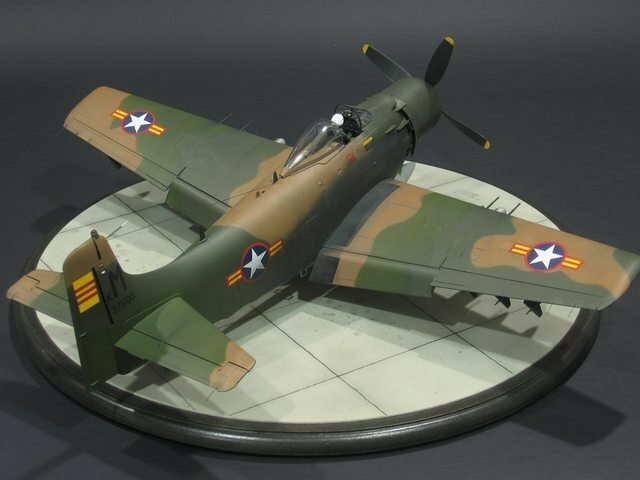 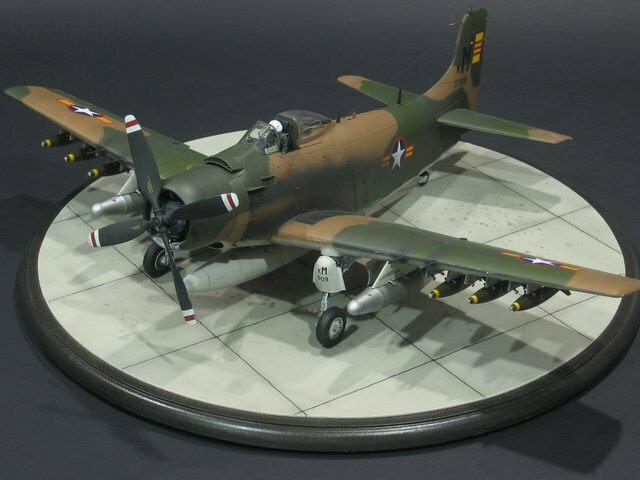 Next up is Daniel Leduc with his super VNAF Skyraider from Trumpeter. 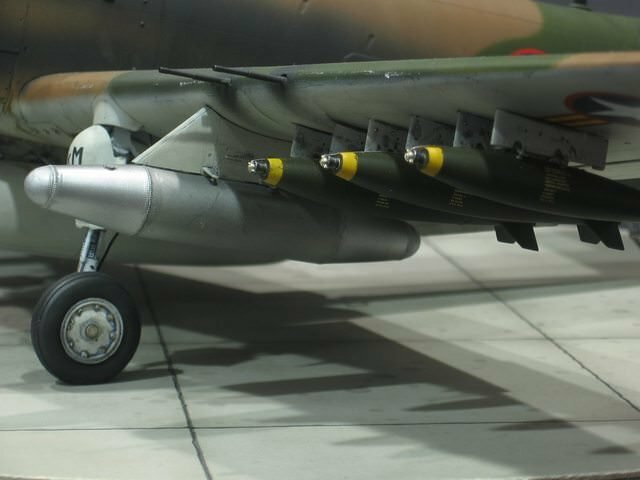 I do like a good bomb truck!